BEST FIGHTER FOR CANADA: 1, 2, 3, 4... DOES IT MATTER IF THERE'S A TRADE WAR? 1, 2, 3, 4... DOES IT MATTER IF THERE'S A TRADE WAR? "Hey Justin, smell my finger..."
Well... 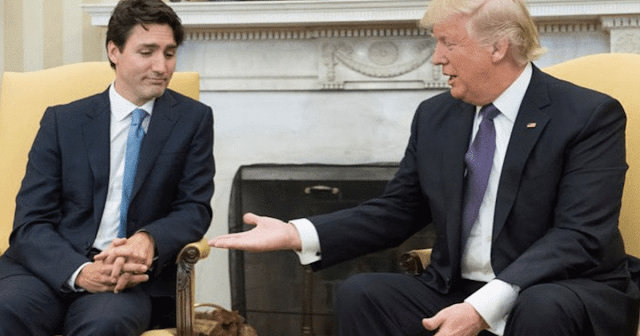 It looks like the opening salvo has been fired in a trade war between the USA and Canada. The particulars are not important to our discussion here; just the usual bloviating and rhetoric. What is important is whether or not this trade war will play a role in Canada's CF-18 replacement decision. Should military purchases be considered as ammunition in a trade war? On one hand, it could be argued that any trade war with the USA would be temporary. Why base a 30 (or more) year fighter commitment on presidency that may not see the end of the decade? Trump's tariffs are not widely supported and would likely not outlast his presidency. With the CF-18 replacement not likely happening until the mid-2020s, the entire Trump presidency could be considered a moot point. Unfortunately, the Trump presidency (and his tariffs) will cast its shadow over most, if not all, of the CF-18 replacement process. An RFP (request for proposals) is expected in 2019 and an winner announced in 2021-2022. Even if Trump loses the 2020 election (not a sure thing), there is no guarantee Canada/US trade relations will simply bounce back. One could argue that taking our military purchases elsewhere could be a "nuclear option" in a trade war. The American defense industry depends not just on sales to the Pentagon, but foreign sales as well. Industry giants like Lockheed-Martin and Boeing would likely have little patience once they start losing a multi-billion-dollar fighter deal thanks to protectionist trade policies... Especially when their production costs also increase thanks to increased steal and aluminum prices. No one knows this more than Boeing. Boeing learned the hard way that trade is a two-way street when it attempted to smother the Bombardier CSeries in its crib by calling for crippling tariffs. While this strategy was initially successful when the US Commerce Department agreed to crippling 220% tariffs on the Canadian airliner. 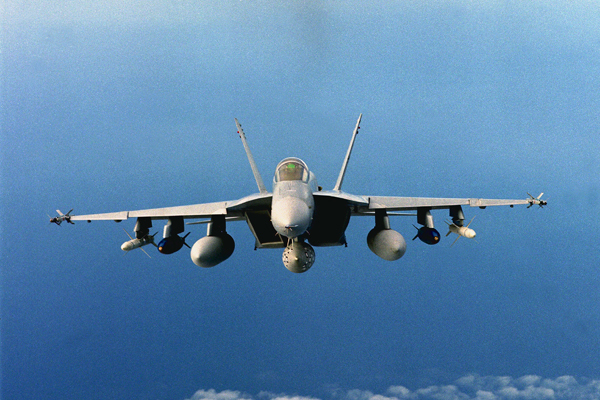 This led to Canada cancelling its proposed interim Super Hornets and those tariffs knocked down by the US International Trade Commission. Neither side really won... Boeing lost a promising fighter sale and Bombardier had to relinquish control of the CSeries to another aerospace firm... But the Europeans (in the form of Airbus) was able to take full advantage of the skirmish. Perhaps the Boeing/Bombardier dispute should be seen as a "prototype" to the upcoming trade war between the US and Canada.